Two's company for DCS Multiserve's new business ventures. The team at DCS Multiserve are celebrating the simultaneous completion of two high-priority projects, which will be instrumental in their plans to drive the company forward. 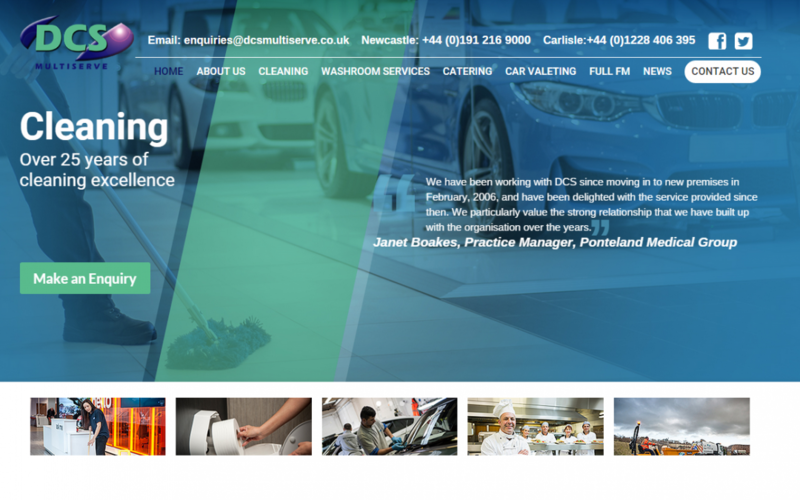 This summer has marked both the launch of the company’s brand new website, and the completion of the acquisition of Cumbrian based cleaning company System People. ‘We really wanted the new website to be created with the customer journey in mind – to give our customers a more visual, user-friendly experience. We also wanted to share more images of the brilliant work our operatives do, and help users to find the service they need quickly and simply. I think we’ve achieved it. Meanwhile, DCS Multiserve has also been working with Cumbria-based business solutions company System People on the acquisition of their cleaning division. Managing Director Michael O’Hara, alongside Operations Director Jim Campbell have been working towards this goal for over the last 12 months, and are delighted that the completion has landed at the same time as the website launch. Not only have DCS now added a number of blue chip companies to their continually expanding client portfolio, but have now taken on 25 full-time staff members, and opened a regional office in Carlisle to manage their new contracts. To contact DCS Multiserve (Carlisle), call: 01228 406 395. Call: 0191 216 9000 for our Newcastle Head Office. For all general enquiries, please email enquiries@dcsmultiserve.co.uk. You are here: Home » Blog » Two’s company for DCS Multiserve’s new business ventures.